Adventure Game Studio | Games | Where did Sam go? 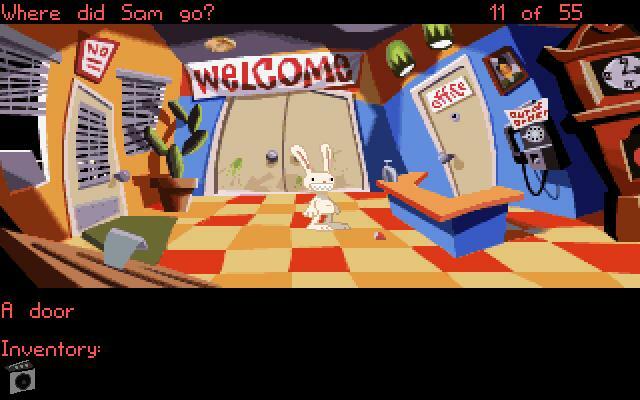 Download Where did Sam go? Max has been waiting in the car for ages and is starting to worry about Sam. He decides to go inside to look after him. And YOU have to help him find Sam. ALL graphic (except inventory items, GUIs, cursors) and music is ripped off LucasArts games and is copyright (c) LucasArts.